Hi, I recently replaced every bush, bearing, mount and uj under my y plate manual m13a hardtop. I still had a vibration under load. After another good look and poke about I realised I'd missed the gear shifter mounts. 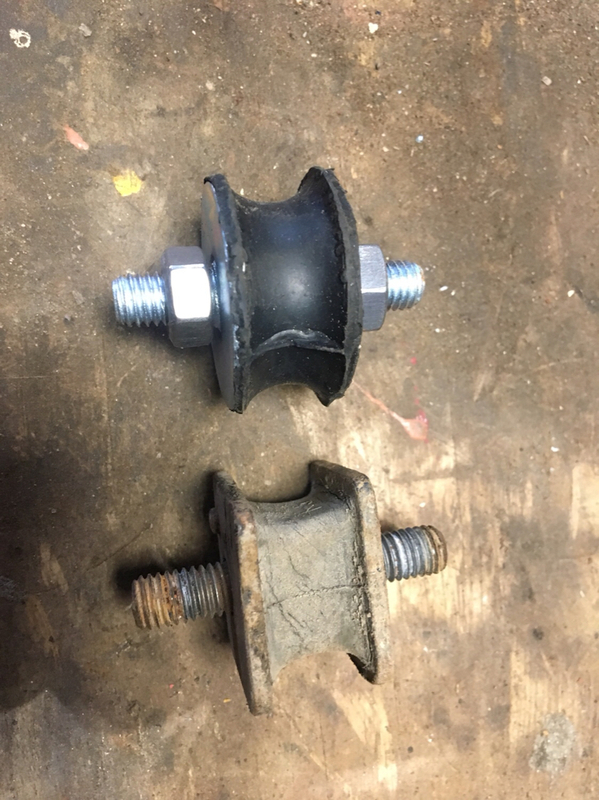 2 small square rubber bushings, both sheared. Rear engine mount had gone ages ago so makes sense that these would be shot also. Whilst in halfrauds getting new exhaust rubbers I saw a rover mini rubber mount. Looked just right for the job so I got 2 and this morning put them in and vibration gone. If your in need they fit well in every regard and are a fraction of the price quoted by Suzuki for the square ones. Gear shifter is now as stable as my much newer vvt swift. Not a porridge stirrer anymore. Nice one. Any part numbers for reference. Chucked packaging away. 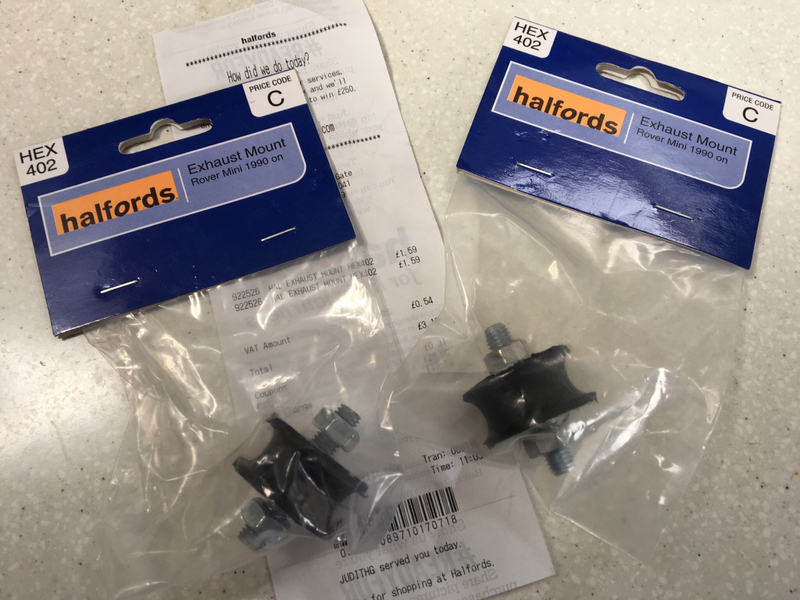 Search halfords exhaust bushings, its the small round black rubber one with a thread sticking out either side. Looks like a round version of the square stock Suzuki ones. Thread size and thickness is the same as stock. I would guess at these. Halfords are £1.59 each. Part code is HEX402. Mega improvement after fitting them. Easy job too. If your gearstick is at all wobbly or tricky to get gears this is worth doing. Looks pretty universal, perhaps these in Norway are the same? Going to have a bash at this tomorrow, I've been thinking about a gearbox rebuild but it might just take a couple of mounts to tighten it up.... I'll use nylocs and lock washers, see what happens. I'll be chuffed with a fivers worth of bits as opposed to a few hundred for the gearbox kit. Last edit: 17 Jul 2018 22:25 by sniper. Very happy to have helped in a tiny way fellas..
Spot on about spring washers riccy, and yep shifter feels nice and solid.